Prince Claus of the Netherlands, Jonkheer van Amsberg (German: Klaus-Georg Wilhelm Otto Friedrich Gerd von Amsberg; 6 September 1926 – 6 October 2002), was the husband of Queen Beatrix, and the Prince Consort of the Netherlands from Beatrix's ascension in 1980 until his death from Parkinson's disease and heart and respiratory ailments in 2002. Claus was born Klaus-Georg Wilhelm Otto Friedrich Gerd von Amsberg, on his family's estate, Schloss Dötzingen, near Hitzacker, Germany on 6 September 1926. His parents were Claus Felix von Amsberg and Baroness Gösta von dem Bussche-Haddenhausen. His father, a member of the untitled German nobility, operated a large farm in Tanganyika (formerly German East Africa) from 1928 until World War II. From 1938 Claus and his six sisters grew up on their maternal grandparents' manor in Lower Saxony; he attended the Friderico-Francisceum-Gymnasium in Bad Doberan from 1933 to 1936 and a boarding school in Tanganyika from 1936 to 1938. Claus was a member of such Nazi youth organisations as Deutsches Jungvolk and the Hitler Youth (membership in both was mandatory for all fit members of his generation). From 1938 until 1942, he attended the Baltenschule Misdroy. In 1944, he was conscripted into the German Wehrmacht, becoming a soldier in the German 90th Panzergrenadier Division in Italy in March 1945. He was taken prisoner of war by the American forces at Meran before taking part in any fighting. After his repatriation, he finished school in Lüneburg and studied law in Hamburg. He then joined the German diplomatic corps and worked in Santo Domingo and Ivory Coast. In the 1960s, he was transferred to Bonn. Claus met Princess Beatrix for the first time on New Year's Eve 1962 in Bad Driburg at a dinner hosted by the count von Oeynhausen-Sierstorpff who was a distant relative of both of them. They met again at the wedding-eve party of Princess Tatjana of Sayn-Wittgenstein-Berleburg and Moritz, Landgrave of Hesse, in the summer of 1964. With memories of German oppression still very strong 20 years after the war, sections of the Dutch population were unhappy that Beatrix's fiancé was a German and former member of the Hitler Youth. 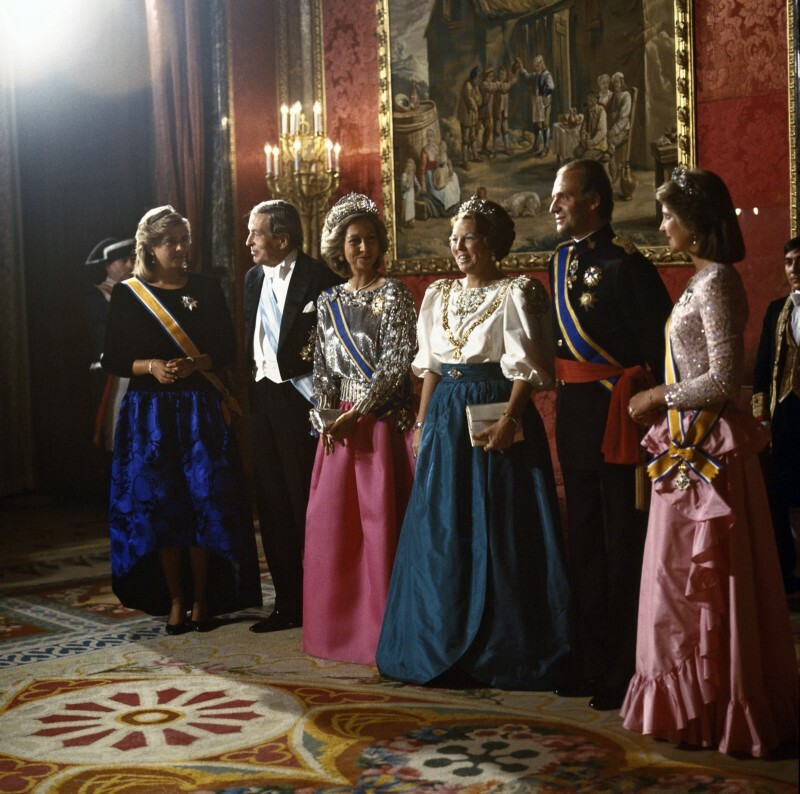 Nonetheless, Queen Juliana gave the engagement her blessing after giving serious thought to canceling it. 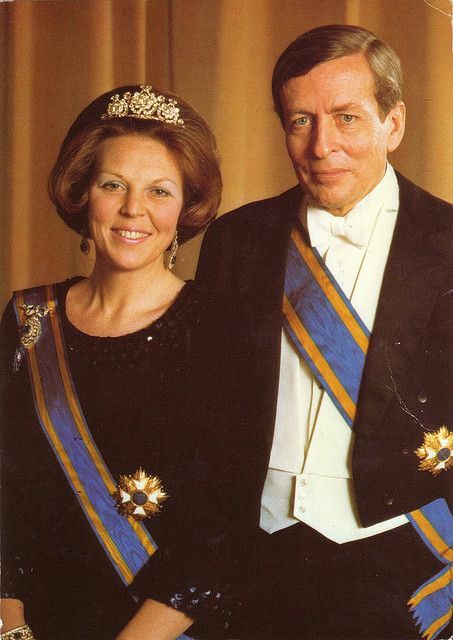 The engagement was approved by the States-General—a necessary step for Beatrix to remain heiress to the throne—in 1965. He was granted Dutch citizenship later that year and changed the spellings of his names to Dutch. The pair were married on 10 March 1966. Their wedding day saw violent protests, most notably by the anarchist-artist group Provo. They included such memorable slogans as "Claus, 'raus!" (Claus, get out!) and "Mijn fiets terug" (Give me back my bike), a reference to the memory of occupying German soldiers confiscating Dutch bicycles. A smoke bomb was thrown at the wedding carriage by a group of Provos. For a time, it was thought that Beatrix would be the last monarch of the Netherlands. 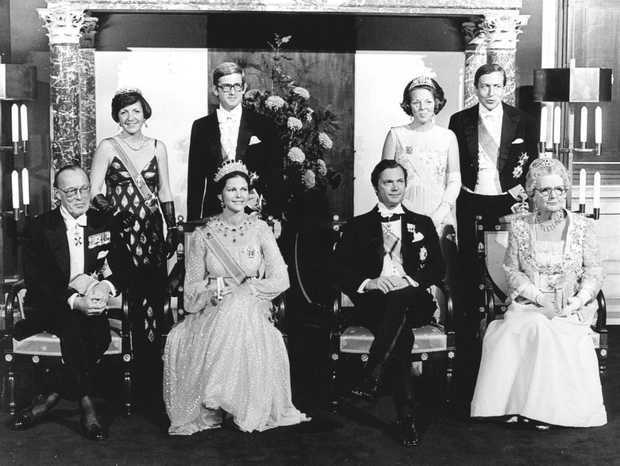 However, over time, Claus became accepted by the public, so much so that during the last part of his life he was considered by some to be the most popular member of the Royal Family. This change in Dutch opinion was brought about by Claus's strong motivation to contribute to public causes (especially Third World development, on which he was considered an expert), his sincere modesty and his candor (within but sometimes on the edge of royal protocol). The public also sympathised with Claus for his efforts to give meaning to his life beyond the restrictions that Dutch law imposed on the Royal Family's freedom of speech and action. However, these restrictions were gradually loosened; Claus was even appointed as senior staff member at the Department of Developing Aid, albeit in an advisory role. One example of his attitude toward protocol was the "Declaration of the Tie". In 1998, after presenting the annual Prince Claus Awards to three African fashion designers, Claus told "workers of all nations to unite and cast away the new shackles they have voluntarily cast upon themselves", meaning the necktie, that "snake around my neck," and encouraged the audience to "venture into open-collar paradise". He then removed his tie and threw it on the floor. Claus battled depression for a number of years, and underwent a surgery in 1998 to remove his prostate. In 2001, he underwent another surgery to remove one of his kidneys. He eventually died on 6 October 2002 from Parkinson's disease and heart failure. Standard of Claus as Prince-consort of the Netherlands. Prince Claus was also appointed Honorary Fellow of the International Institute of Social Studies (ISS) in 1988. Prince Claus was held in very high esteem in the international development cooperation community, partly because of his considerable insight and understanding of the problems involved, and partly because of his exceptional gift for expressing the hopes and anxieties felt by all. King Willem-Alexander 27 April 1967 He married Máxima Zorreguieta Cerruti in 2002, and has three daughters. Prince Friso 25 September 1968 12 August 2013 He married Mabel Wisse Smit in 2004, and had two daughters. Prince Constantijn 11 October 1969 He married Laurentien Brinkhorst in 2001, and has two daughters and a son. Claus suffered various health problems, such as depression, cancer and Parkinson's disease. He died of complications of pneumonia and Parkinson's at the Academic Medical Center in Amsterdam on 6 October 2002 after a long illness, aged 76. He died less than 4 months after the birth of his first grandchild. 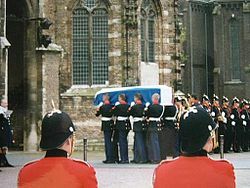 He was interred in the Royal Family's tomb in Delft on 15 October. It was the first full state funeral since Queen Wilhelmina's in 1962. ^ a b c "Prince Claus of Netherlands Dies". The Washington Post. Retrieved 11 October 2018. ^ a b c d Simons, Marlise (7 October 2002). "Claus von Amsberg, 76, Popular Dutch Prince". The New York Times. Retrieved 27 September 2012. ^ a b c d e f Halasa, Malu (7 October 2002). "Obituary: Prince Claus of the Netherlands". The Guardian. Retrieved 11 October 2018. ^ Hitler Youth: Prelude to War 1933–1939. The History Place. Retrieved on 23 April 2014. ^ "Titels leden Koninklijke Familie". The Royal House. Retrieved 26 May 2017. ^ "Vierdaagsekruisje van prins Claus te zien - Vorsten". 23 May 2016. Retrieved 25 September 2017. ^ "Reply to a parliamentary question about the Decoration of Honour" (PDF) (in German). p. 111. ^ "Queen Beatrix Jewellery - The Royal Forums". www.theroyalforums.com. Retrieved 25 September 2017. ^ "1999 National Orders awards - South African Government". www.gov.za. Retrieved 25 September 2017. ^ Boletín Oficial del Estado. 8 October 1985. Wikimedia Commons has media related to Prince Claus of the Netherlands. This page was last edited on 14 December 2018, at 19:07 (UTC).